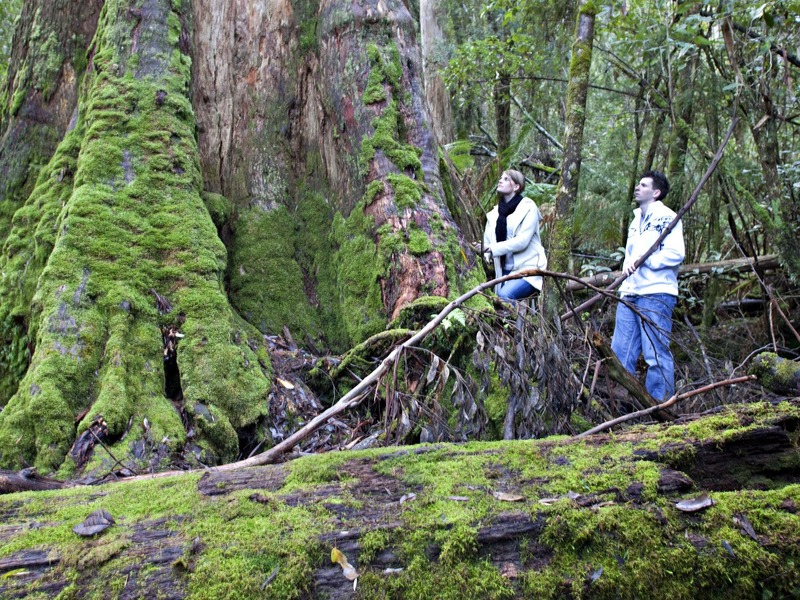 Hastings Caves and Thermal Springs in the Huon Valley (Southern Trove) is a 90-minute drive south of Hobart. 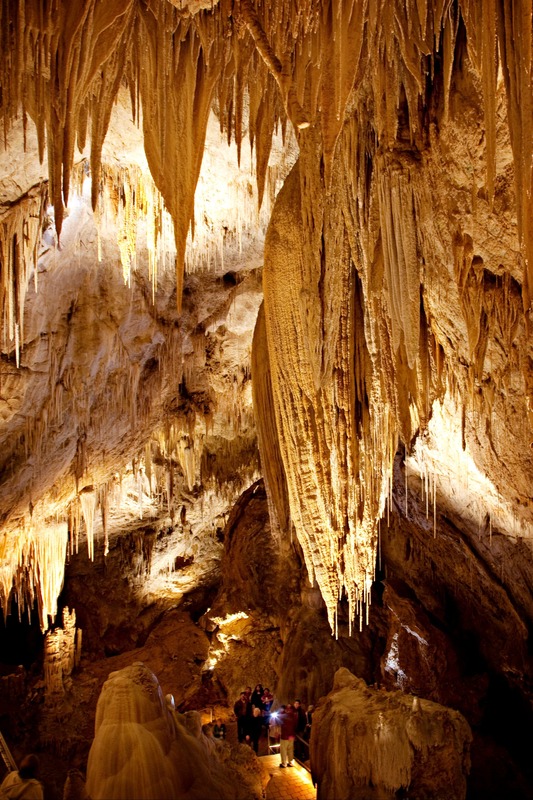 Formed millions of years ago, the dolomite cave is one of two show caves found in Australia. Guided tours are available with a Parks and Wildlife Service guide. 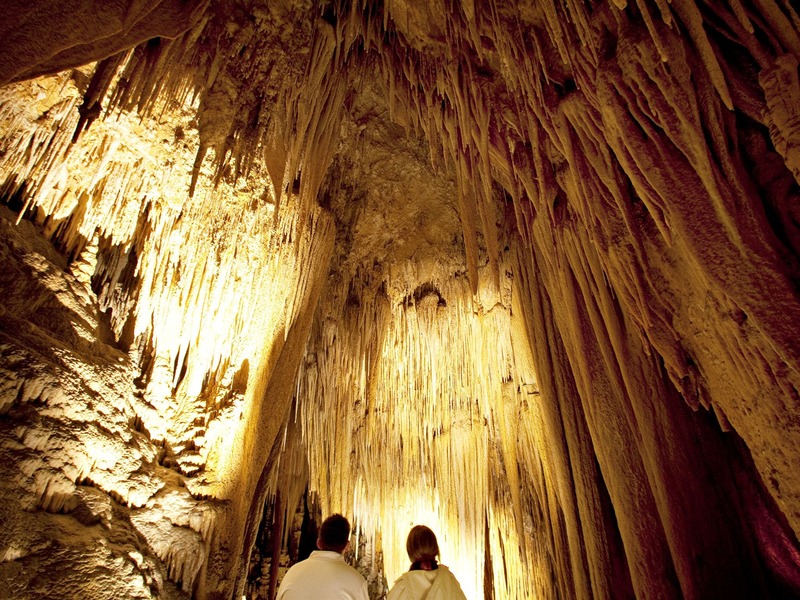 You will discover spectacular subterranean formations including flowstone, stalactites, columns, shawls, straws, stalagmites and the unusual helictites. The cave is spacious there are no narrow passages. Each way inside the cave are 250 stairs, all equipped with handrails. Opening hours and cave tour times vary throughout the year, so we recommend you check times before arrival. 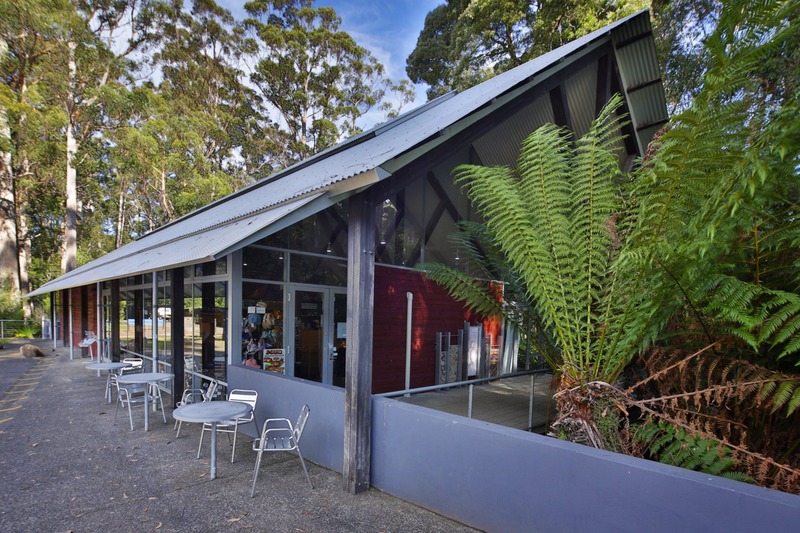 You must arrive at the Hastings Visitor Centre 20 – 30 minutes prior to your tour. This is where you purchase tickets for cave tours or the thermal springs reserve. 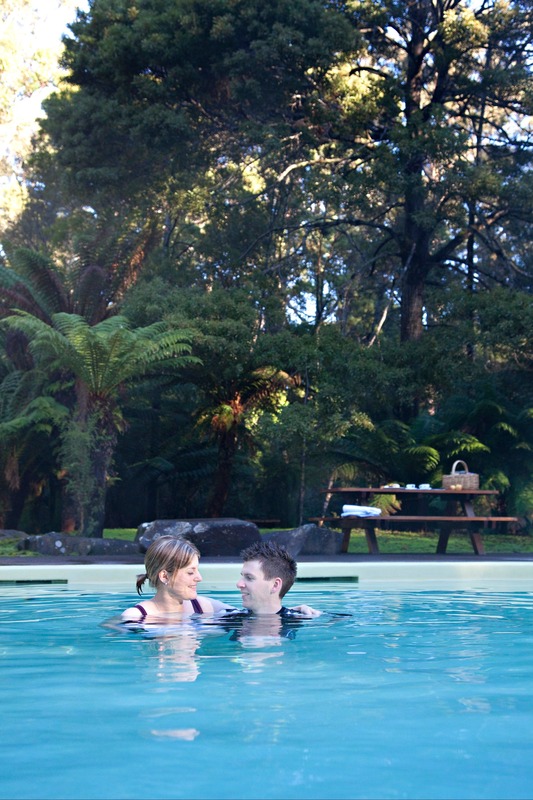 You can swim in the thermal swimming pool, fed by thermal spring water. The pool temperature is a tepid 28 degrees Celsius; outdoor temperature is often very cool. Forest and ferns with picnic/barbecue areas surround the pool, change room amenities are next to the pool. Light snacks and souvenirs are available in the Visitor Centre.